The meeting involving Vitória de Setúbal and Belenenses will conclude on Monday, February 11, the dispute of the twenty-first of the 34 days scheduled for the 2018/2019 season of the Portuguese Championship. The match will be held at Bonfim Stadium, in Setúbal, and will start at 18:15 (Brasília time). Looking back is what the Vitória de Setúbal has done in the later rounds. Without winning from 1 December when, as a visitor, scored 1 to 0 in the Marítimo, the team has accompanied the dangerous approach of the teams that fight against relegation.With 21 points (five wins, six draws and nine defeats), he started the 21st match in eleventh place with a margin of three points in comparison with the Chaves, seventeenth – penultimate – placed. Among them were Tondela (20 points), Maritimo (20), Nacional (20), Boavista (19) and Aves (18), which offers safety to Vitória de Setúbal that they will continue outside the sticking zone when stepping on lawn on Monday.The worrying sequence of 11 games without a win (five draws and six defeats), which includes eliminations in the League Cup and in the Portuguese Cup with two defeats for Braga, however, set off the warning signal in the club.An optimistic outlook, however, shows a recent upward trend. In the last five rounds, Vitoria de Setúbal have won four draws, enough to stay in the middle of the standings.As the principal, the team has a similar pattern of results. It is the twelfth place in this ranking of the First League. Of the 27 points they played at home, they won 11 (three wins, two draws and four losses) having scored nine goals and suffered nine goals.Defender Nuno Pinto (ten matches in the 2018/2019 Portuguese Championship without a goal) in injury recovery is doubtful for this Monday’s showdown. It was also up to the Belenenses to make the closing match of the twentieth round. At home, the team had a direct duel for position with Moreirense and led to the worst. It was defeated by 1 to 0 and, in this way, ended up falling to the seventh place in the table of classification of the Portuguese Championship. He has 29 points (seven wins, eight draws and five losses).He also reduced his chances in the fight for fifth place, which could earn him a place in international competitions next season, as he saw Moreirense, his biggest rival in this fight, open a five-point lead.As a visitor, Belenenses ranks seventh best in the First League. Of the 30 points that he played in column two, he was able to take 14 (three wins, five draws and two losses) home having scored ten goals and suffered 11. With no victory in the last 9 championship games, Setubal dropped to the thirteenth position, with 21 points gathered along the 20 rounds, a negative goal -4, a 5-wins, six draws and no less than 9 defeats. Transferring this winter from Braga, the 31-year-old left-wing defender Silvio is the favorite to start as a title holder and on Monday evening, thanks to the evolution of his previous trip on the Nacional field. The team prepared by Nuno Oliveira comes after two defeats in the championship, without a goal scored, 0-3 away from FC Porto and 0-1 home against Moreirense and descends to the seventh position of the first Portuguese league with a total of 29 points, positive goal +1. 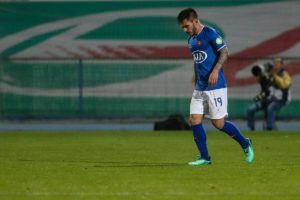 After defeating the suspension stage received after the red card cashed in the match against the FC Porto champion, the left defender Goncalo Silva is ready to return to Belenenses’ first eleven. Setubal has scored at least one goal in 16 of the 20 rounds played in the championship. Setubal has not been defeated by the Belenenses for five games. It was three wins and two draws in that period. In the most recent meeting, for the first round of the 2018/2019 Portuguese Championship, there was no goalless equality. The fight of the Vitória de Setúbal in the Portuguese Championship is another. Its main rivals are the teams that are at the bottom of the leaderboard. Thus, against the Belenenses, who is not a right opponent, the team has no need to expose themselves. Any point won is profit. It will be up to the visitor to take risks if he wishes to continue the fight for fifth place. This scenario makes the prognosis in the draw is the best option for the match that ends on Monday the day of number 21 of the Portuguese Championship season 2018/2019.